Just when you think that the competition in the mid-range smartphone segment isn’t hot enough, Cherry Mobile has launched new smartphones with new features and leading the pack is the Flare S7 Plus powered by a Helio P60 chipset and a 6.18-inch display with a notch and IR camera. 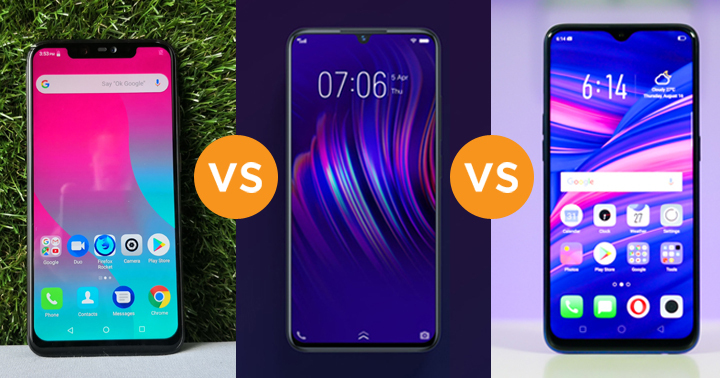 Let’s see how it fares with the VIVO V11i and OPPO F9 in our quick specs comparison below. Cherry Mobile Flare S7 Plus follows the same notch design trend of smartphones this year. It comes with a 6.18-inch 18.5:9 display with 2246 x 1080 resolution, Helio P60 processor, 4GB RAM, 64GB internal storage, 16MP + 5MP dual rear cameras, 16MP + IR front cameras, and 3,050mAh battery with fast and wireless charging capabilities. 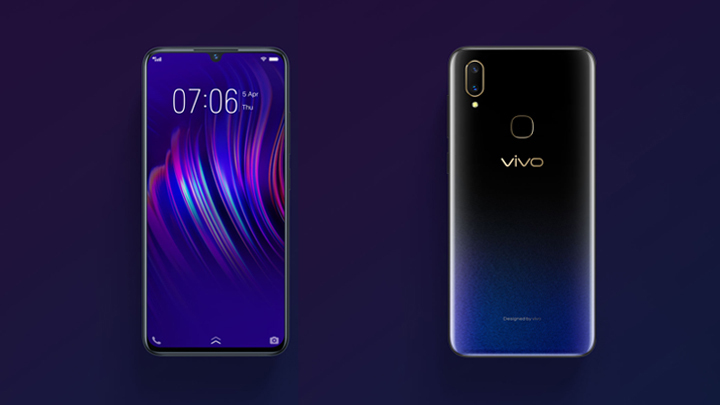 The VIVO V11i is the younger sibling of the V11 without the in-display fingerprint scanner. It sports a 6.3-inch 19:9 display with 2280 x 1080 resolution, Helio P60 processor, 4GB RAM, 128GB internal storage, 16MP + 5MP dual rear cameras, 25MP front, and 3,315mAh battery with fast charging technology. 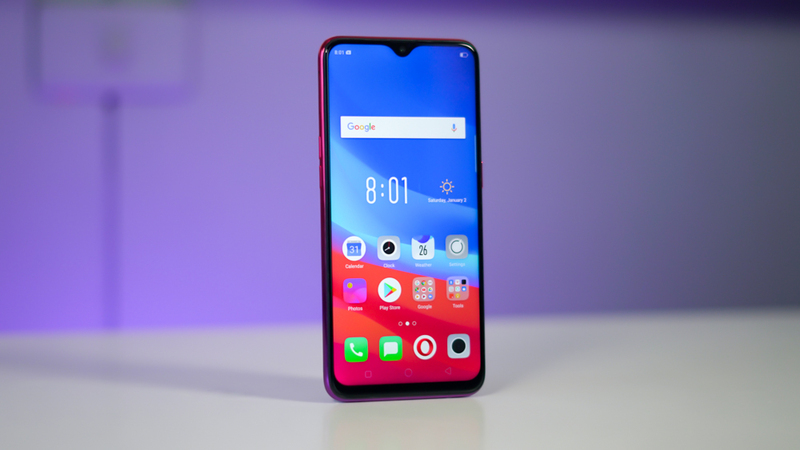 OPPO F9 is the top contender of the company sporting a 6.3-inch 19.5:9 display with 2340 x 1080 resolution, Helio P60 processor, 6GB RAM, 64GB internal storage, 16MP + 2MP dual rear cameras, 25MP front, and 3,500mAh battery with VOOC flash charge technology. When it comes to the display, the V11i and the F9 have the same screen size which makes the Flare S7 Plus the smallest of the three. All devices, however, have an above average viewing experience which is ideal for any users who are fond of watching and streaming videos. What’s really promising is the Flare S7 Plus comes with the same chipset as the V11i and F9. The Helio P60 is a premium mid-range chipset from MediaTek that can provide a decent gaming experience. 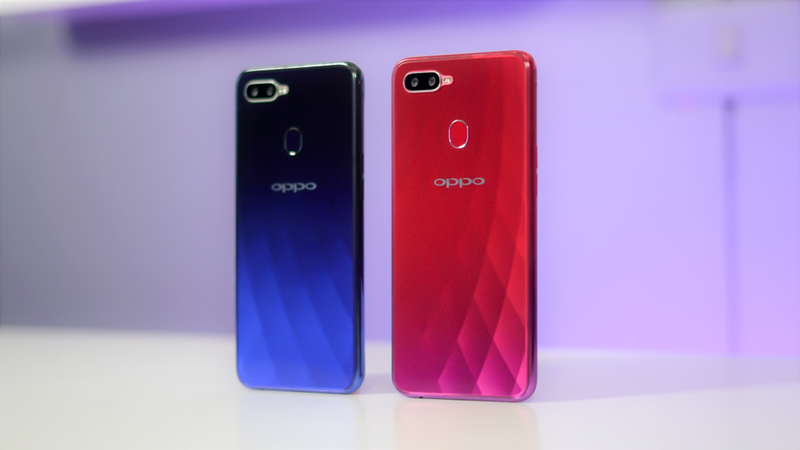 The only difference is that the OPPO F9 has the largest RAM capacity in the group, making it the ideal pick for heavy users who want to make sure that their device won’t slow down when running plenty of apps in the background. For the cameras, the Flare S7 Plus and the V11i have the same dual rear camera resolutions. The F9 though has a lower 2MP secondary camera resolution but it shouldn’t be a big issue as secondary sensors are only used for bokeh effects. For the front cameras, both the V11i and F9 have 25MP cameras which are significantly higher than the 16MP found on the S7 Plus. We’ve yet to take sample shots on all devices so we can’t say at the moment which phone performs the best in photography. Let’s look at the battery. Among the three, the F9 has the largest battery capacity with a VOOC charging technology. The Flare S7 Plus, however, has a USB Type-C port and support for wireless charging that is usually found in the flagship smartphones. So which devices to pick based on the advantages? If you’re looking for the highest storage capacity, the V11i is a good pick. If you want the best display possible, dedicated microSD card slot, and battery capacity, take a look at the F9. Lastly, if you want a USB Type-C port, stock Android experience, and wireless charging support, we have the Flare S7 Plus. Perhaps the biggest factor to consider is the price. 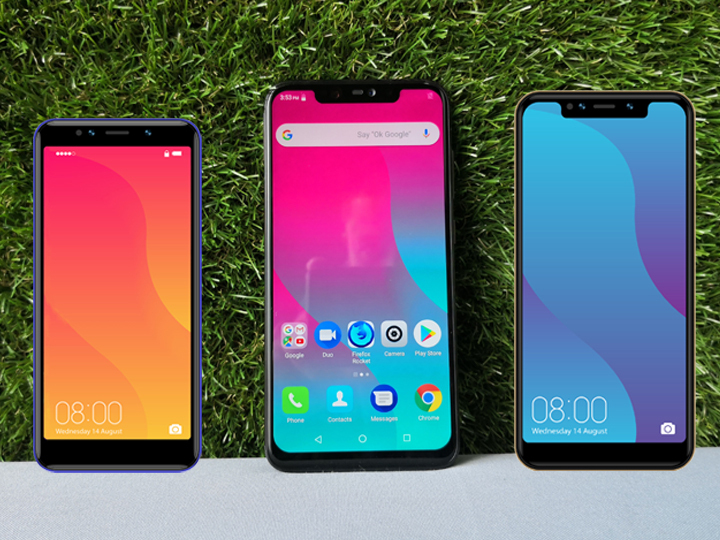 The Vivo V11i costs Php15,999/$296 while the OPPO F9 is at Php17,990/$333. Cherry Mobile, on the other hand, is yet to reveal the price for their Flare S7 Plus.